1.) I'm not on an experimental branch or any other branch of DayZ that differs from stable. 2.) 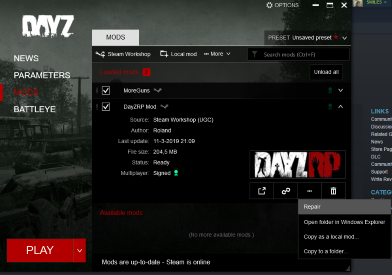 I've removed all my other mods EXCEPT the "DayZRP Mod Pack" in an ATTEMPT to make sure that maybe that might have been the problem, it was not. 3.) Verified the integrity of my game cache. 4.) Uninstalled and reinstalled both the mod pack and the game itself. No luck. Running out of solutions, so I'm resorting here. Anyone got an answer? Are you running it though the DayZ Launcher on steam? 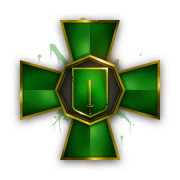 On the Parameters do you have your active character on it? What we recommend you do is close your game and the launcher then verify you game files from steam. Make sure your character that is active is set in the parametres (case sensitive). If this doesn’t work, try seeing if your drivers are updated. If all else fails, reinstall the game but it shouldn’t get to that stage. Hi guys, I am new and I am still trying to figure out how to get this started. I have done all the steps posted from above and I am at the point where I am going to reinstall the game. If it doesn't work I will probably need to talk to someone over discord. 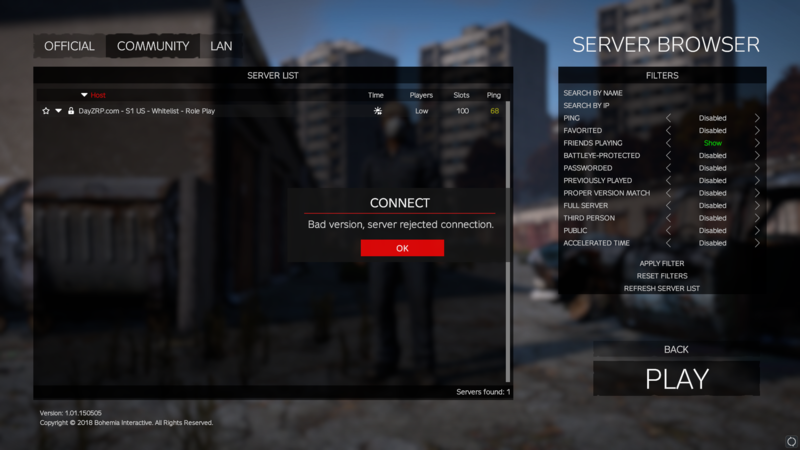 If you go into dayzlauncher then mods, it could be that the mod is broken, fix it and hopefully that works.